There is nothing quite like walking on a winter evening with a gentle snow falling. Beautiful photo! So quiet. I liked the sparkling snow, only one child,and your expression.Have a good day. 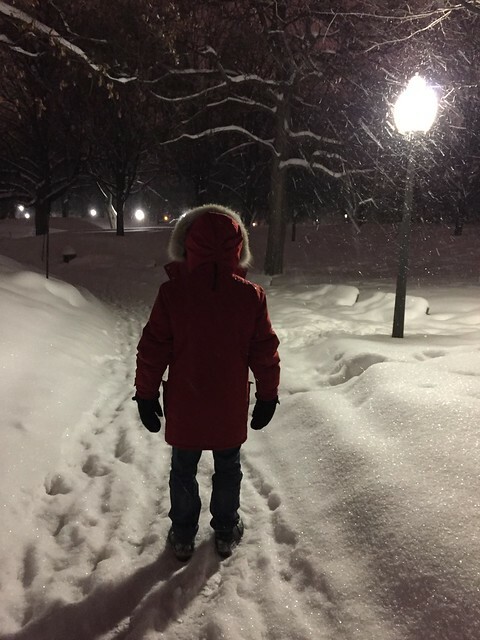 To walk at night when the snow is falling is a special treat. Looks cold there! I think you might be getting more snow than we have!